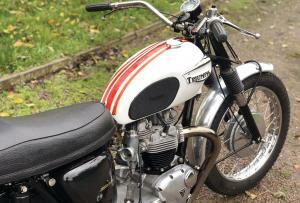 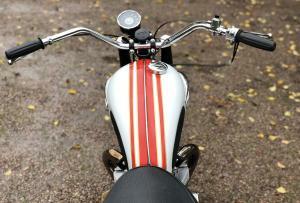 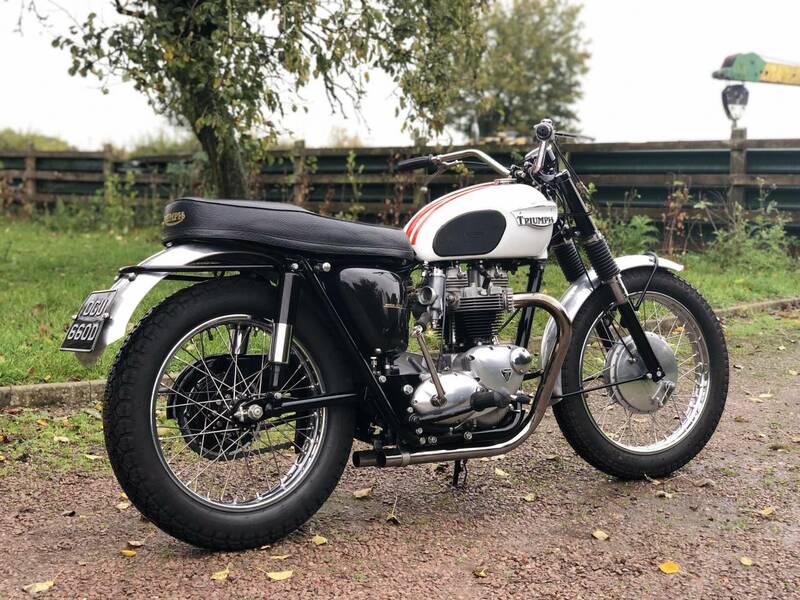 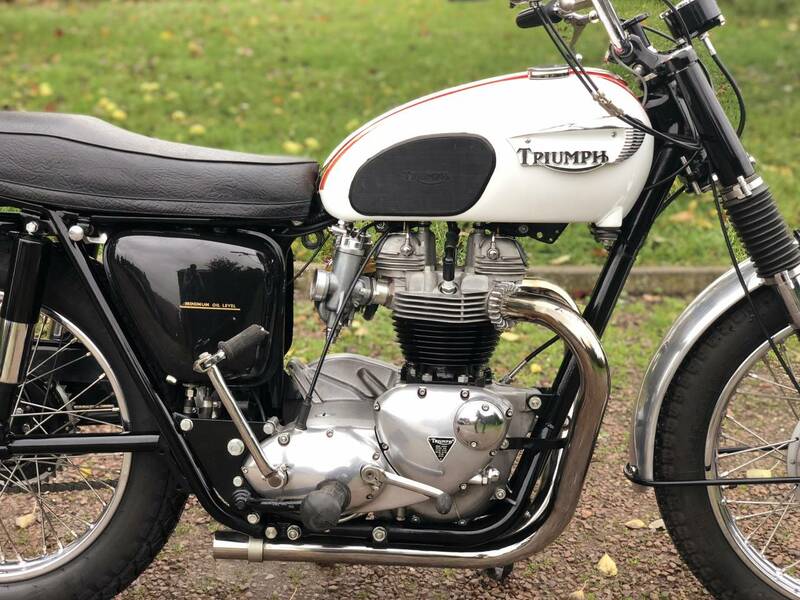 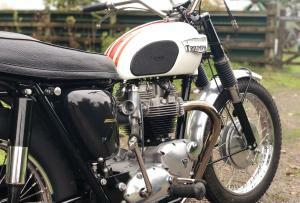 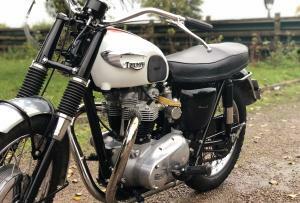 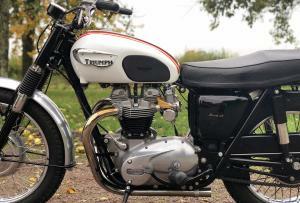 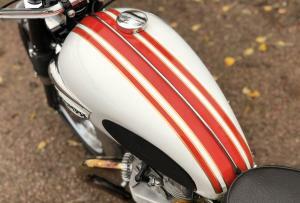 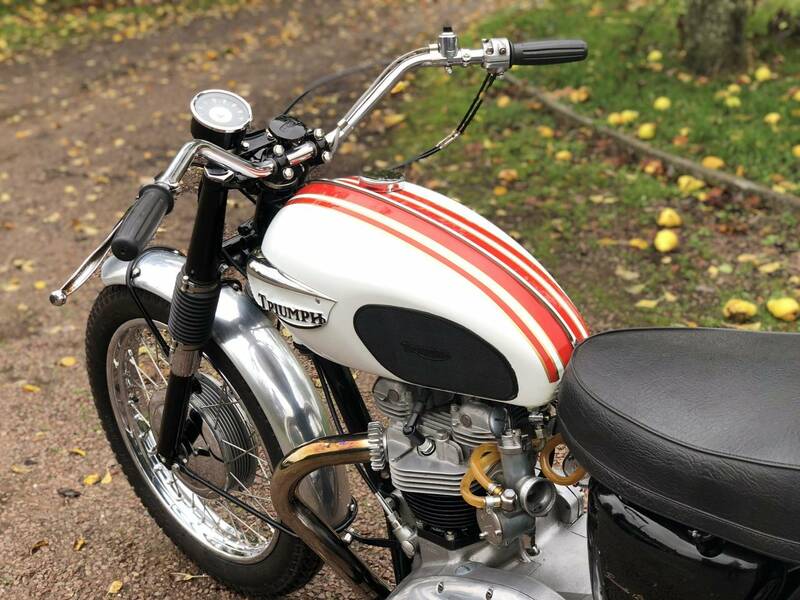 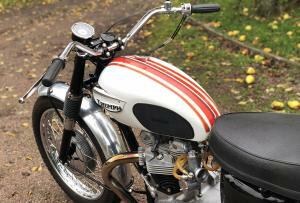 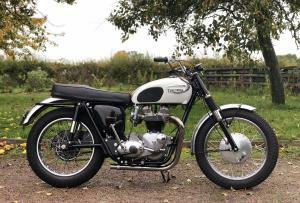 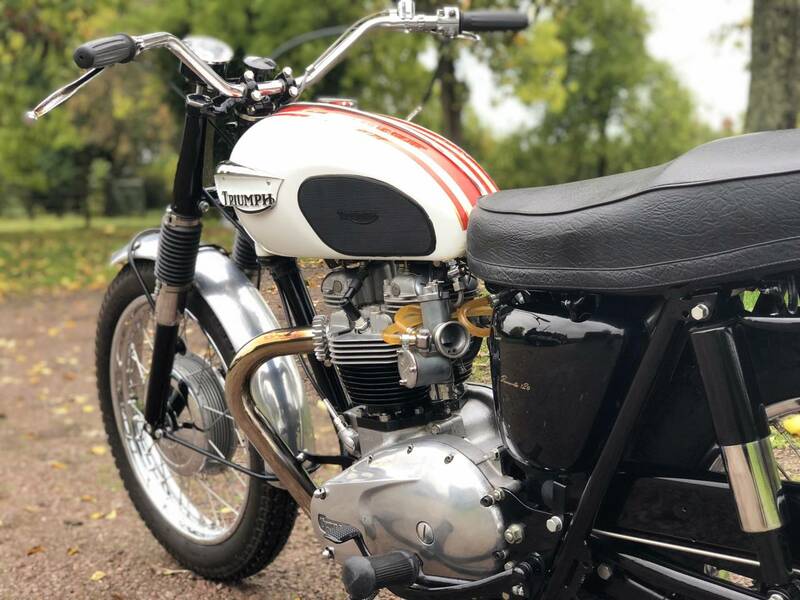 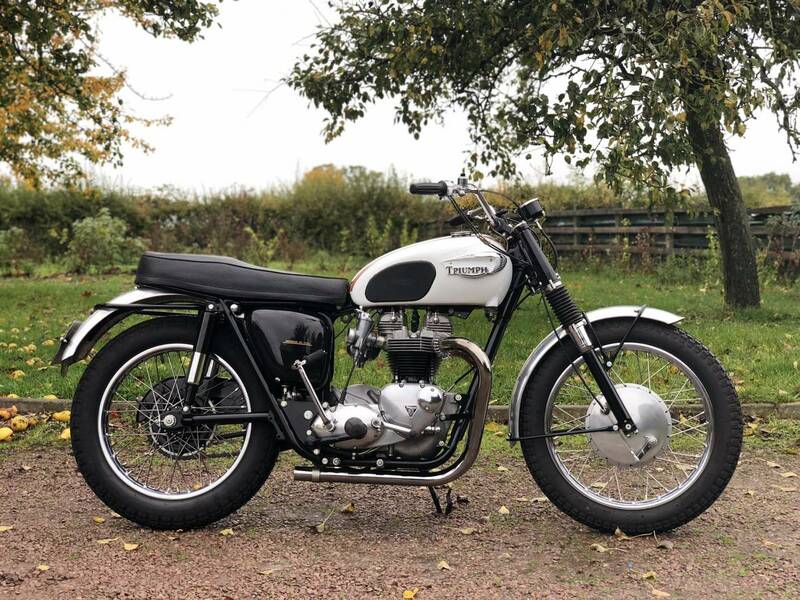 Triumph T120 TT Bonneville Special 1965 650cc. 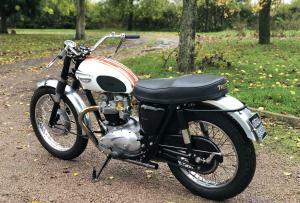 Fully Restored And Still In Fantastic Condition. 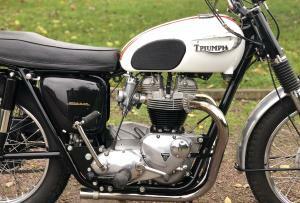 With Matching Numbers And Triumph Owners Club Dating Certificate Confirming Originality. 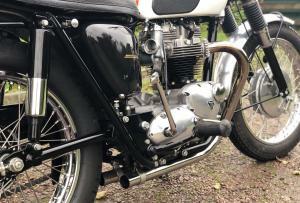 Starts Easily And Sounds Very Aggressive With The Iconic TT Pipes. 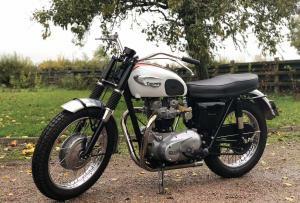 An Excellent Investment And A Whole Lot Of Fun! 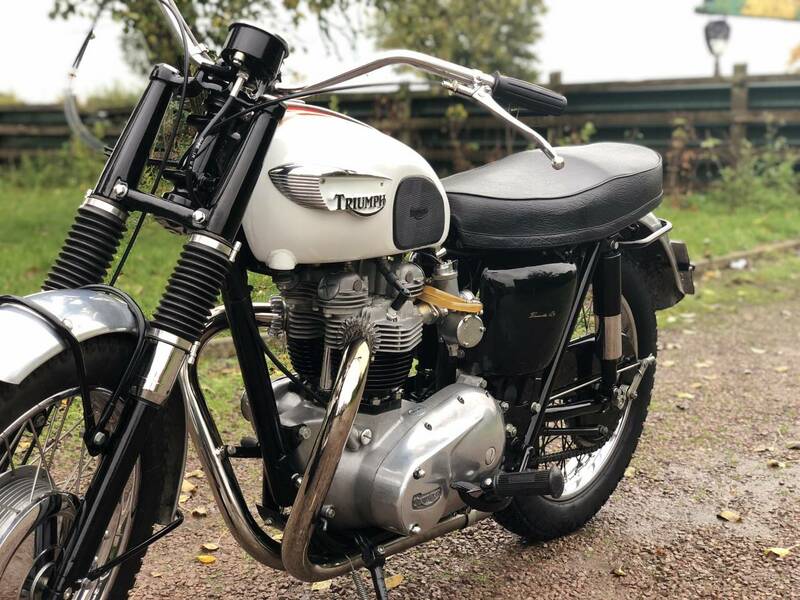 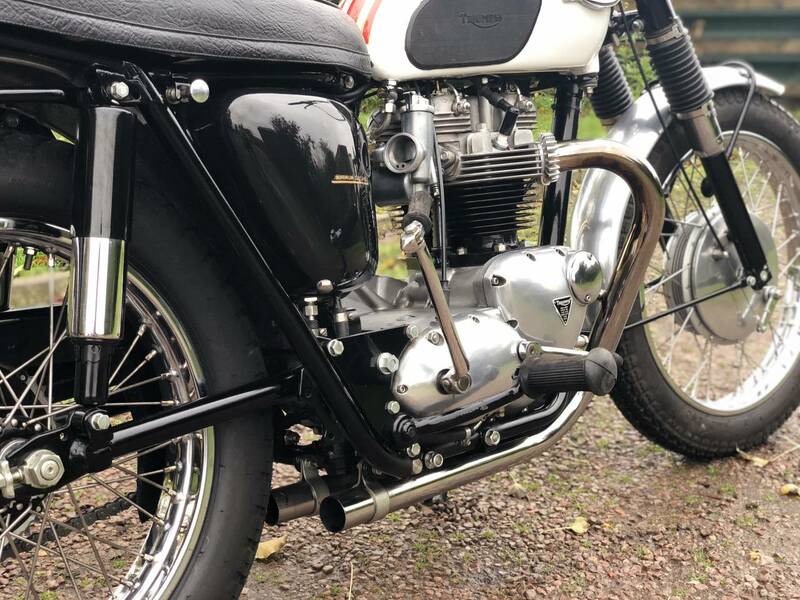 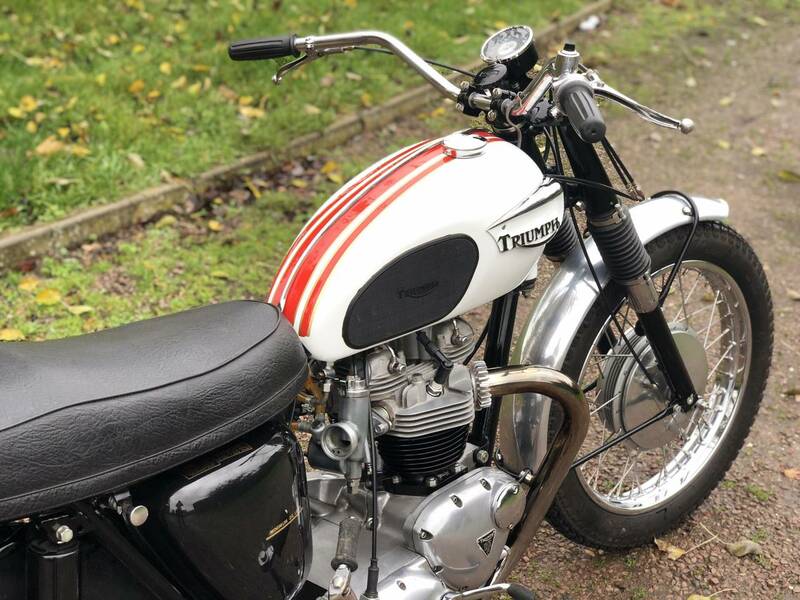 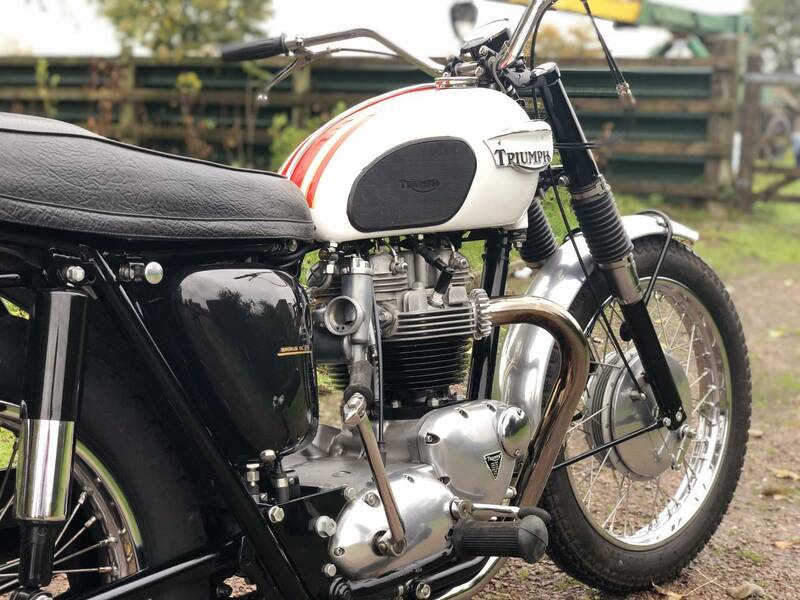 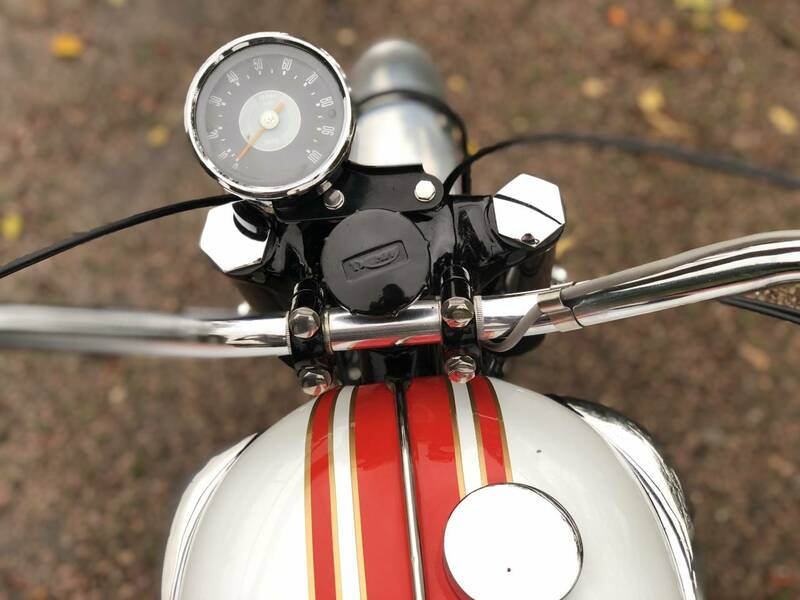 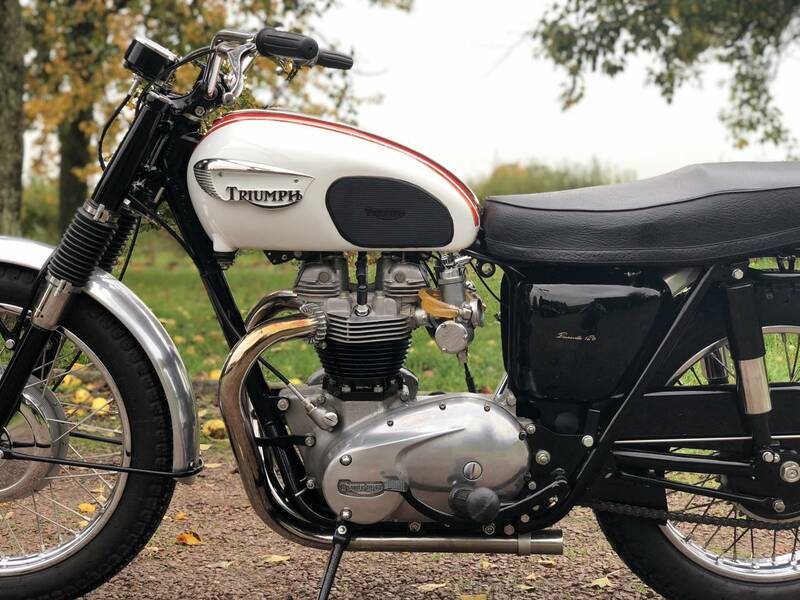 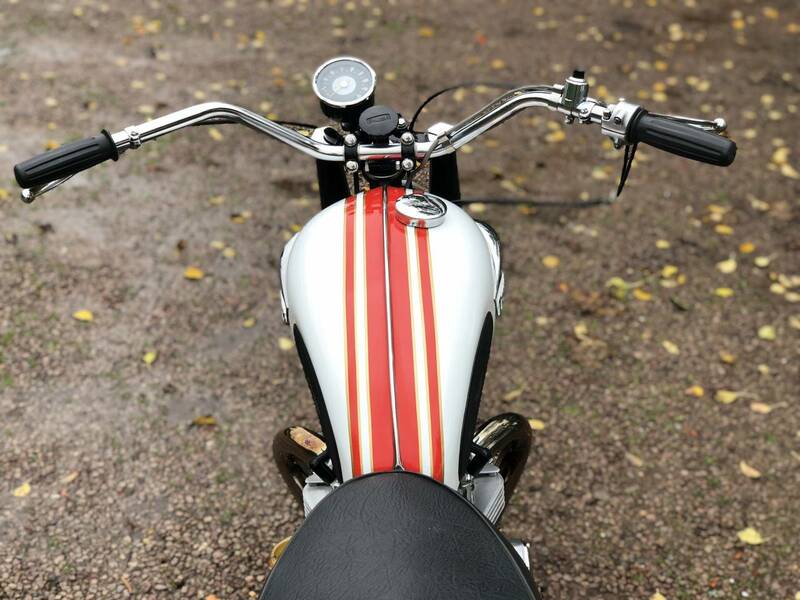 1965 proved to be a very good year for the Triumph Bonneville TT when the model won more races in it's class than all its competitors combined. 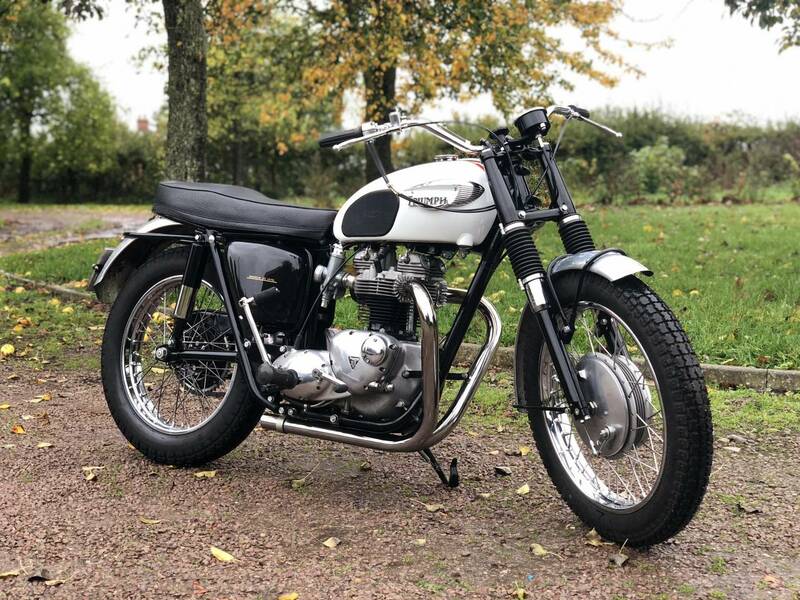 Built at the behest of Johnson Motors, the West Coast distributer, the TT Special had made its debut in 1963 as a derivative of the existing T120C models. 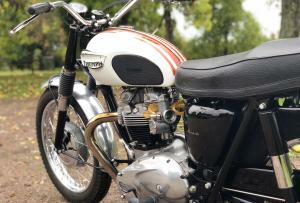 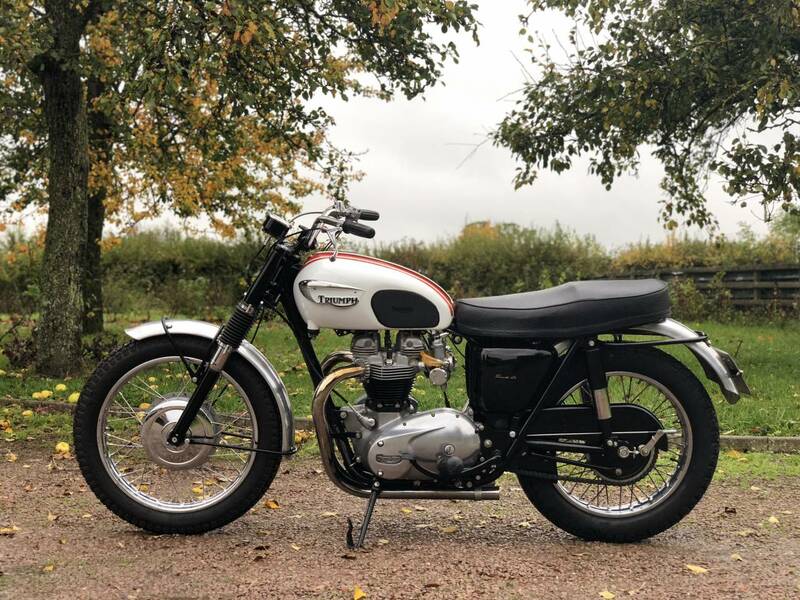 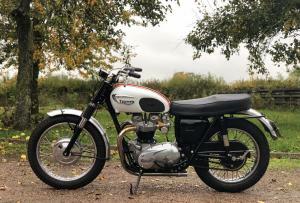 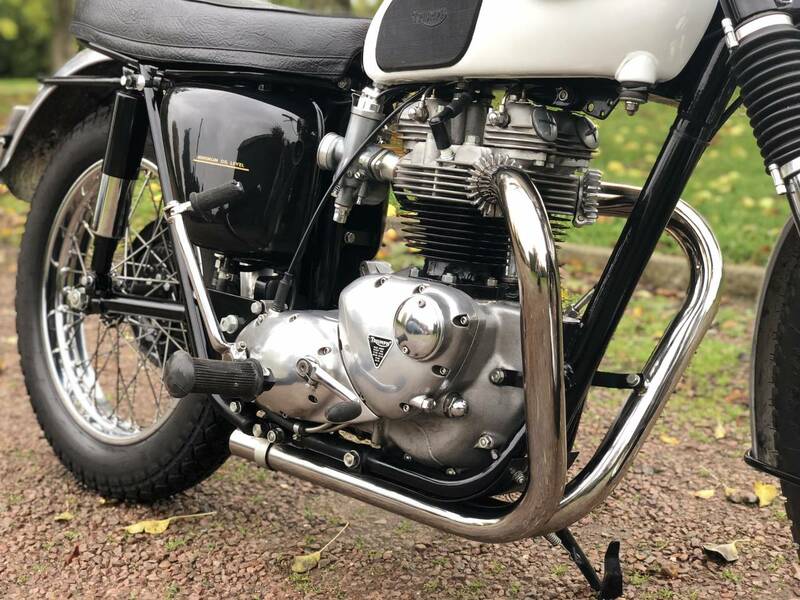 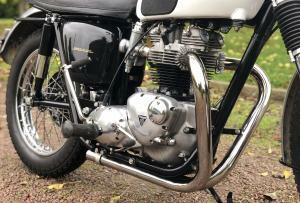 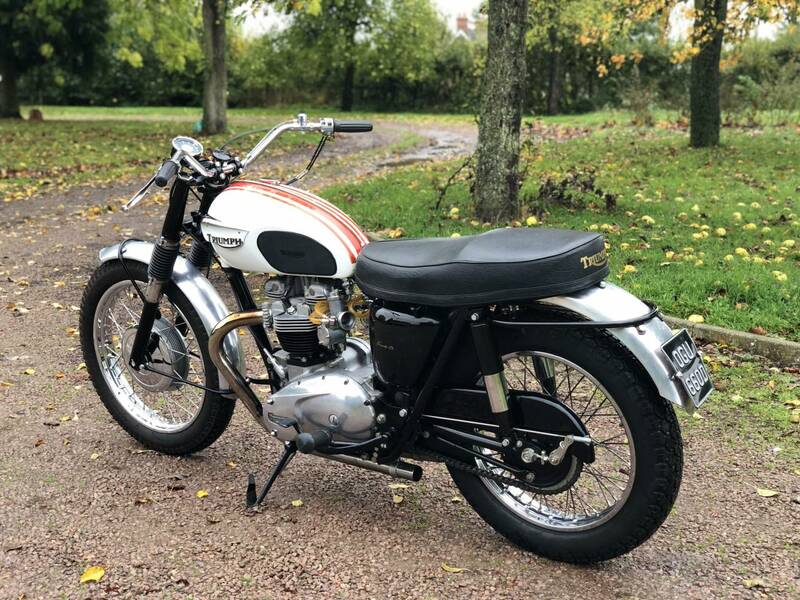 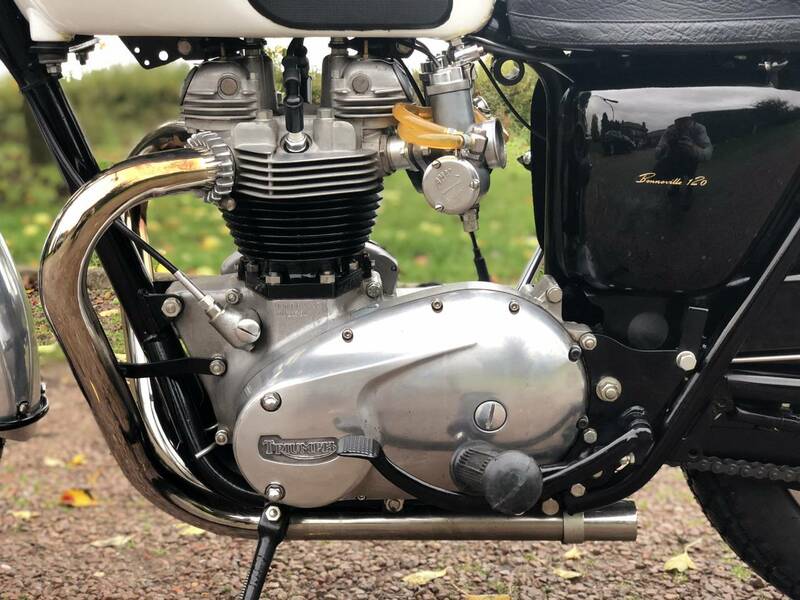 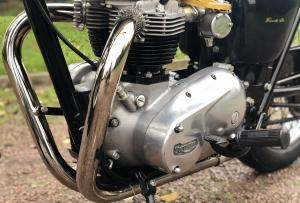 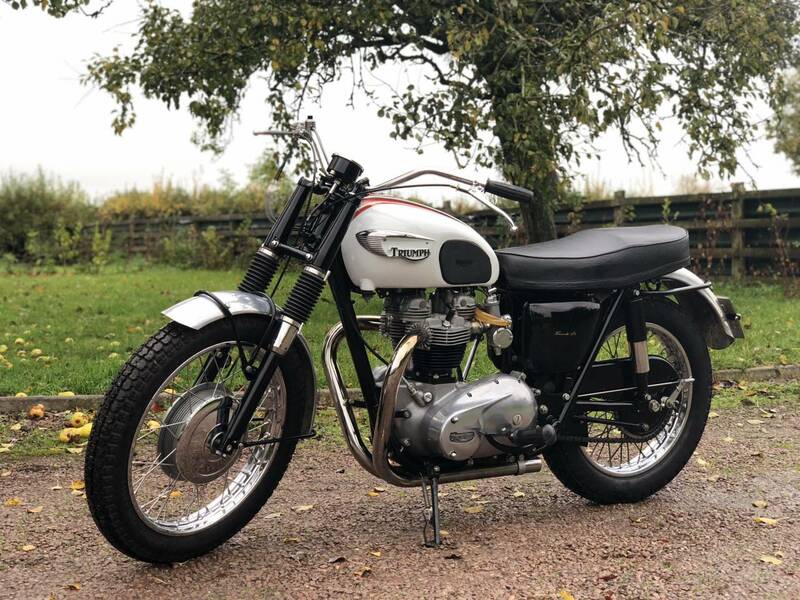 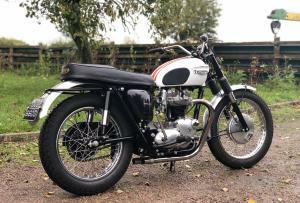 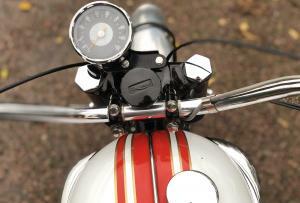 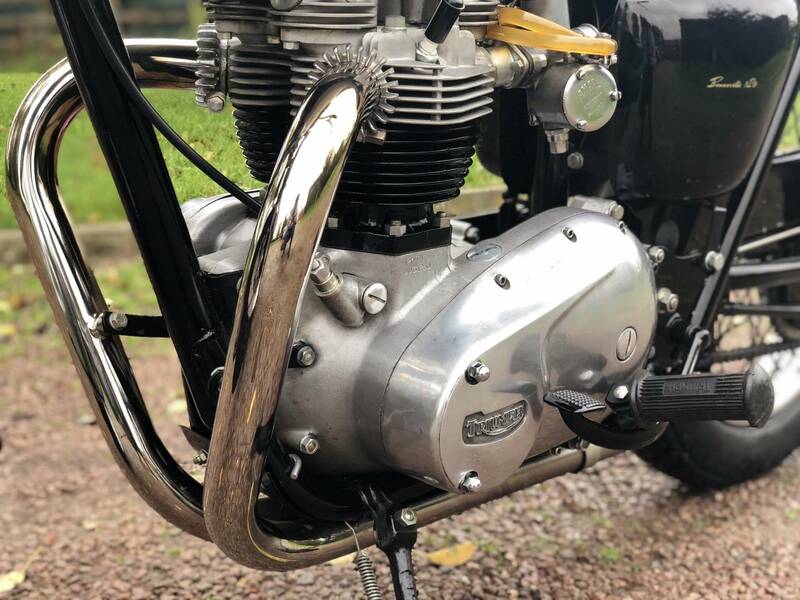 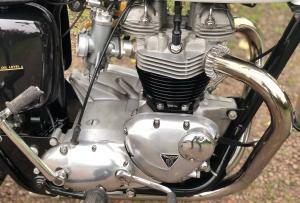 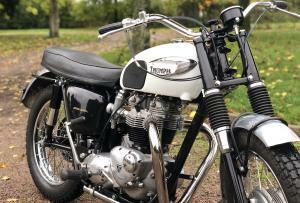 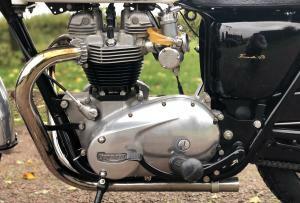 By 1965 the TT specification included a 12:1 compression ratio, energy transfer ignition and 1 3/16" carburettors resulting in a claimed power output well north of 50 bhp which combined with the deletion of items such as lights and instruments, resulted in a 0 to 60 of 5.5 seconds and a genuine 120mph top speed. 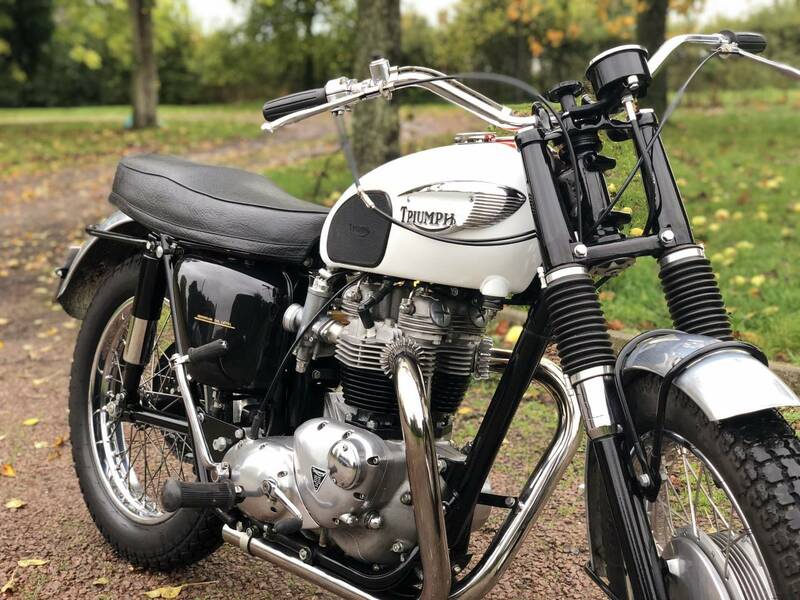 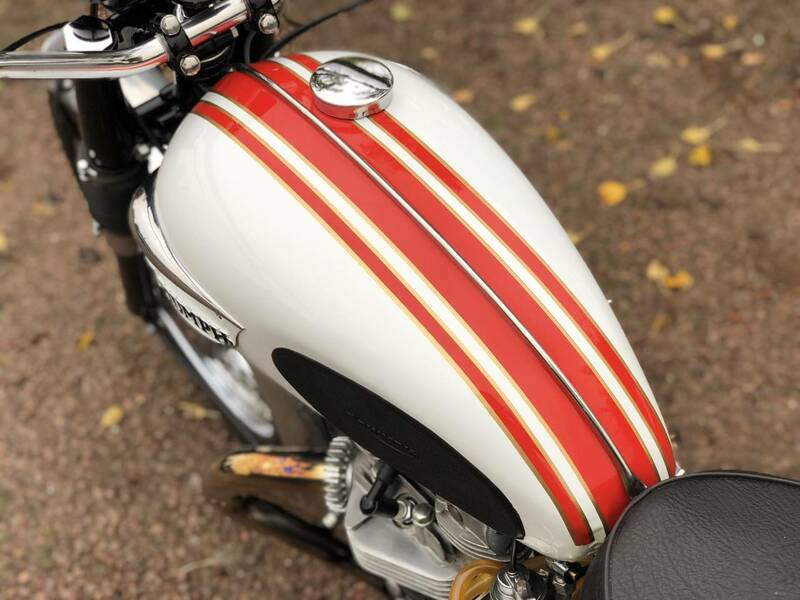 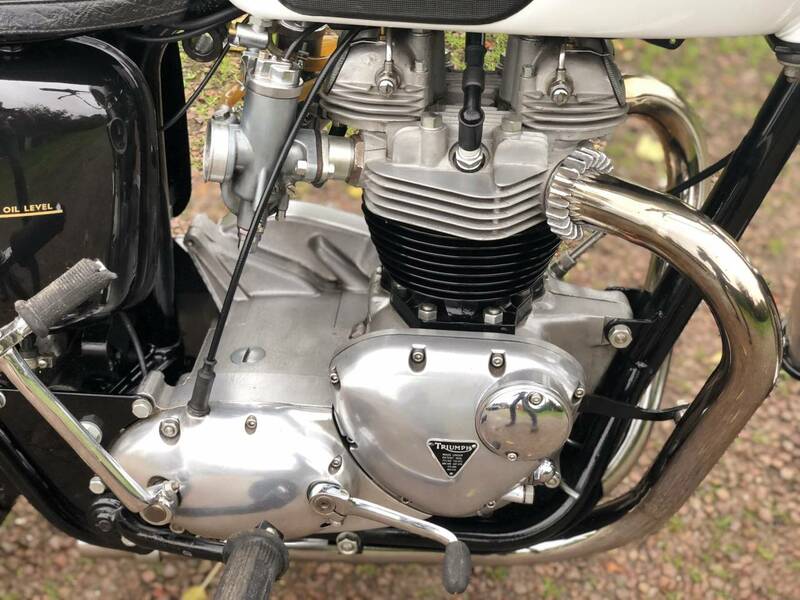 Arguably one of the most attractive motorcycles ever built, the TT Specials have achieved an iconic status among Triumph enthusiasts that continues to this day.